At the end of January the time finally came to travel to Korea for the Olympics, even after four years of focusing on the 2018 Games they still somehow managed to creep up on me! I forked out some money I had saved to upgrade to business class for the flight, so that my joints and muscles didn’t seize up like an ancient piece of farm machinery during the flight. It was my first time turning left getting onto a flight, and the novelty of the pod-like seats with buttons and switches to adjust almost anything within reach kept me entertained until we had reached cruising altitude. Eventually the excitement of luxury travelling lessened enough for me to recline the seat and get some valuable sleep. So I arrived in Seoul feeling refreshed – it’ll probably be a very long time before I travel in that much comfort again! Our home for the first few days in Korea was KNSU, the Korean National Sports University, next to the ‘88 Olympic Park in Seoul. Strangely the university operates with complete segregation between male and female residents, possibly a futile attempt to discourage adolescence in the teenage students staying there. The boys seemed to have placated themselves from this by collecting outrageous quantities of shoes! Every open door I passed on my way between my room and the lifts revealed shelves full of shoes that would put a Footlocker store to shame. The university obviously wanted to take care of its students, and a patrol every night checked every room to ensure all students were present. And I guess to check that no extras were there. After this check a heavy bike lock was threaded through the handles of the ground floor doors from 10pm until 5am to effectively imprison us overnight. In the absence of any other fire exits I was very relieved that there weren’t any fires in the time that we were there! The overbearing nature of the university didn’t stop there, speakers installed into every room gave regular announcements – at full volume – every day. The most prominent of which was the reminder to go to bed, in Korean, at 11pm. Every night this woke me from a jet lagged sleep and continued to press on the point, for several minutes, of what I assume was how important it was to get to bed. Annoyingly the noise was un-muffle-able, even with lots of tape and blankets over the speaker. I even tried tripping all of the switches in the circuit breaker box, which disabled everything electronic in the room except for the speaker system. Various levels of prying and leveraging didn’t show any signs of loosening the cover over the speaker, so I resigned myself to just mentally blocking out the announcements each night. 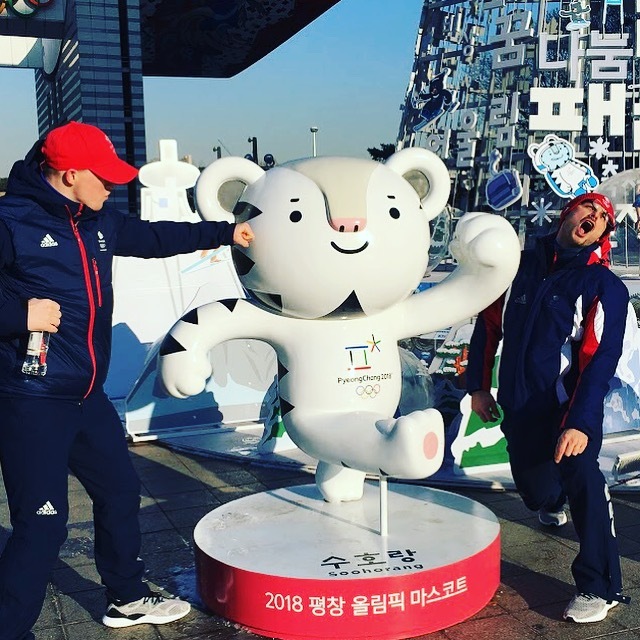 The few days in Seoul were great for recovering from jet lag and getting our last few training sessions in before entering the athlete village. After a few days we were adjusted to the time zone and training full tilt. I was in good shape and training well, always a dangerous time as many athletes know. On our penultimate day in Seoul my body rebelled against the good form I was in and I strained my adductor during a sprint session. It was hard not to panic, and blocking out the potential crisis of this took most of my efforts in those last days in Seoul. I started an intensive rehab programme with ice, anti-inflammatories, and extremely gentle movement of the injured area, not sure how much this would affect my race in a couple of weeks time.